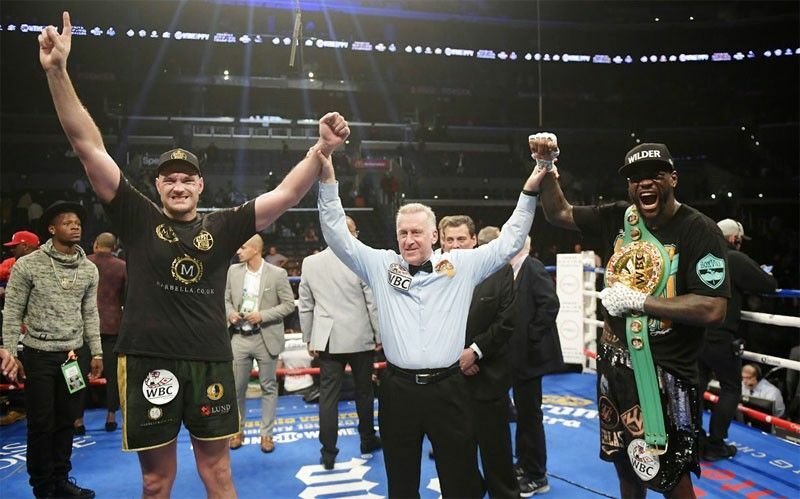 Tyson Fury, left, of England, and Deontay Wilder (right) poste after their WBC heavyweight championship boxing match, Saturday, Dec. 1, 2018, in Los Angeles. The fight ended in a draw. MONTGOMERY, Ala. — WBC heavyweight champion Deontay Wilder says he wants a rematch with Tyson Fury "ASAP." Wilder said in a conference call Tuesday (Wednesday Manila time) that he's "ready and willing to give Tyson Fury the opportunity ASAP." The two heavyweights fought to a split-decision draw Saturday night in Los Angeles in one of the bigger heavyweight bouts in America in years.